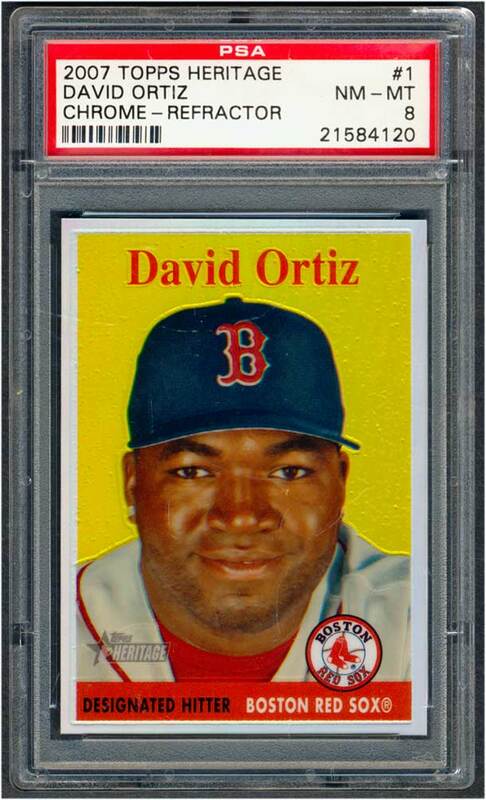 Comments: In January, 2011 I found a lot on eBay from emb72503 which included this refractor of David Ortiz. 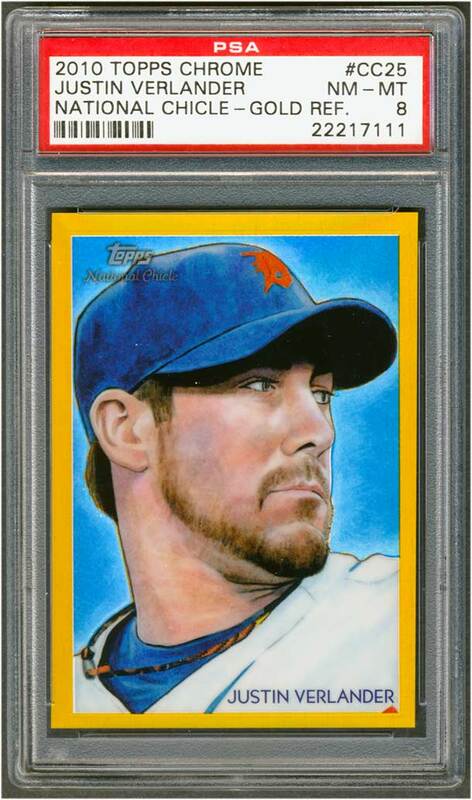 It was a great portrait card. I ended up winning the four cards for $6 including S&H. Upon receipt the card was MINT, serially numbered 146/558 on reverse. I had no idea it was a limited production issue. In late May, 2013 I sent PSA a group of 175 raw cards that I had purchased at shows and on eBay over the course of several years for grading/authentication. I waited two plus months for the submission and during that time decided to have a little fun. Normally, I get the email from PSA indicating grades are available and I go online to review the results. When I receive the package I open it up look through the cards and start the scanning process. The entertainment ends there. This time I decided to do things a little differently but it would take extreme discipline. I didn't go online to look at the grades and the package arrived for pickup on August 23, 2013. I asked my wife to open the box and randomly distribute the contents into a large storage bin. The bin went into the closet and each day for the next 6 months my kids would take turns pulling out a card for me. One card at a time, it was like Christmas every day. 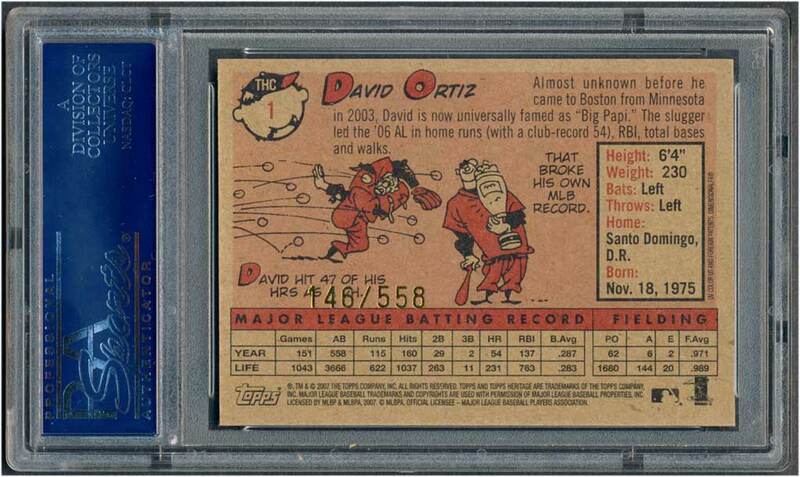 I'm involved in a private chatroom of sportscard collectors where I would post a picture of "The Card of the Day" for the guys to follow along. The kids loved it too! 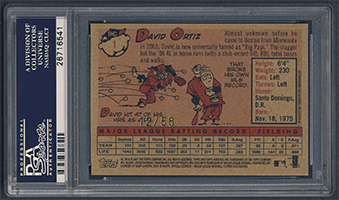 It was so fun I tagged on two more submissions (one for 15 cards received back in early Dec, 2013 and another 53 card submission returned in Feb, 2014) and lumped them in with the other cards as they came back from PSA. The original 175-day quest turned into almost a year-long adventure. This '07 Heritage Ortiz card was Day #157. Kids were screaming "BIG PAPI, PAPI, PAPI" for days!!! 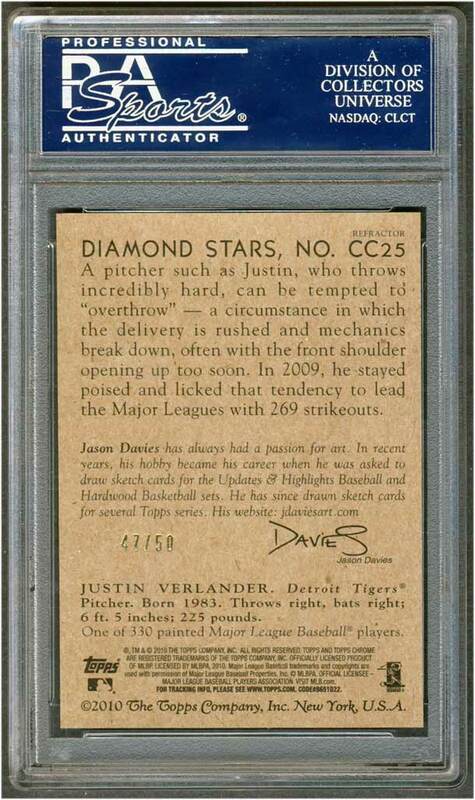 UPDATE: With the goal of upgrading my PSA 8, I found a nice looking example listed on eBay in April, 2014 and purchased the card for $6 inc. S&H from seller berretta. We'll see how this one does with PSA. 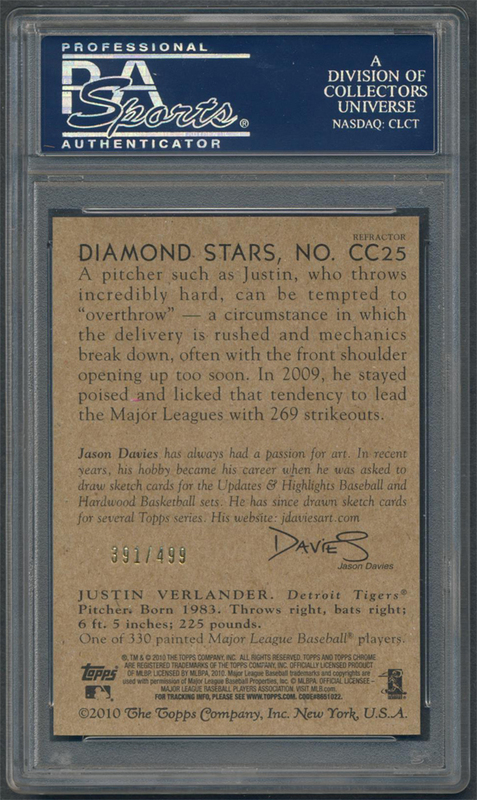 It appears MINT with nice centering so it has a chance to do well. 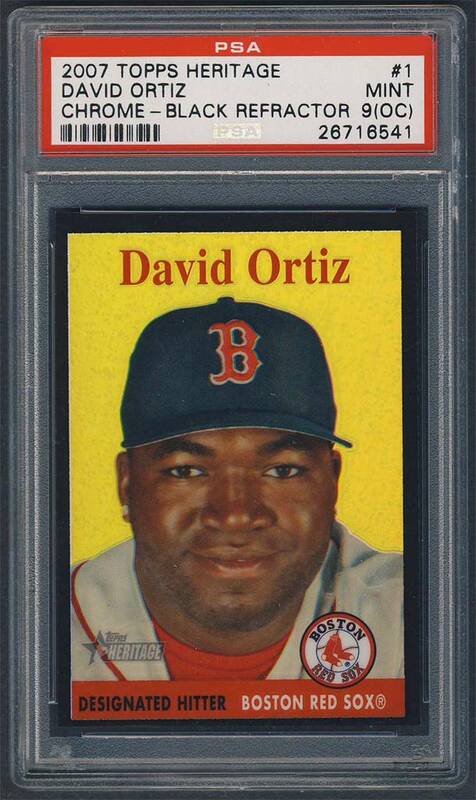 UPDATE: In May 2016, my eBay searches found a 2007 Heritage Black Refractor of Ortiz serially numbered 12/58. The card was off center but I wanted it! Unfortunately, the seller wanted $399.99. That was just too much. I made an offer of $50 but it was quickly shot down. Then in June, I shot back another one of $65. The seller responded with $175. 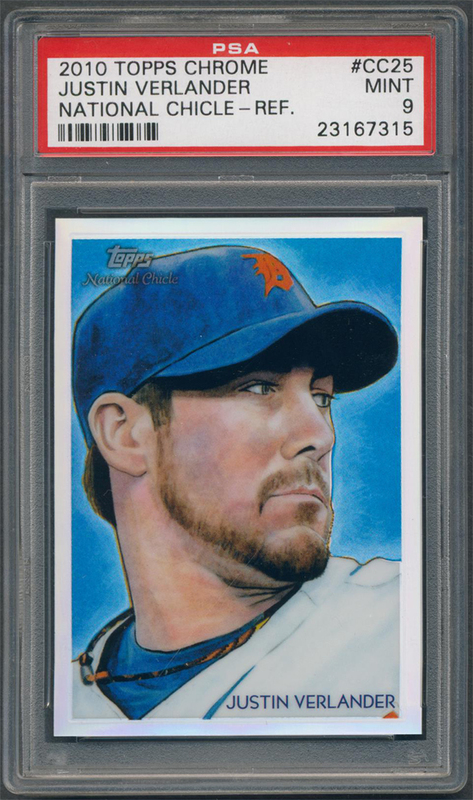 I explained the value just wasn’t there being the card was severely off center top-bottom and explained $75 was the best I can do. They agreed to the price and I’m the proud owner of a pretty cool Big Papi parallel card. 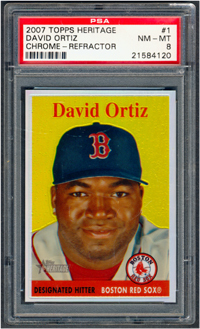 UPDATE: On February 15th, 2017 my 15-Free Submission voucher grades were posted and the Black Refractor card got a MINT 9 (OC) rating - as expected, very happy!